GRAPELAND – The boys and girls of summer are back! 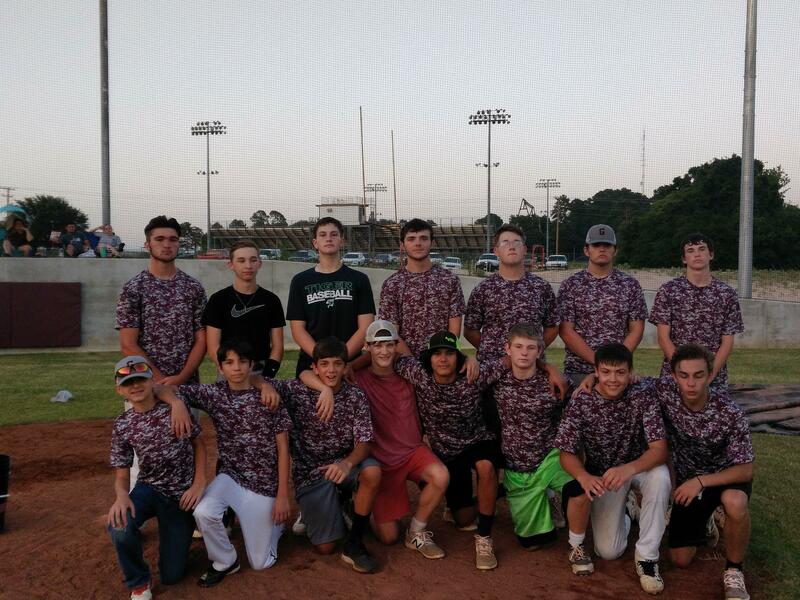 As the calendar turns from June to July, things are beginning to heat up on both the softball and baseball fields of the Texas Teen-age Softball – Baseball Association (TTA) as several local teams have qualified for TTA State Tournaments. One of these teams is the Grapeland Heat who punched their ticket to the state tournament in the 15U (ages 15 and under) division by coming in first in District 3. Prior to a Tuesday afternoon practice last week, Coaches Aaron and Mandie Hollis took time from the warmups to discuss their team’s shot at a state title. “It was a long road. It has taken us three years to get here,” Coach Aaron said. “For some of them, this will be their last year to play because of their age. So, we’re kind of glad we made it this year,” Coach Mandie said. The Heat roster has 16 players on it and includes: #1 Colton Franklin; #2 Justin Mars; #3 Matthew Gardner; #4 Caleb Hatfield; #7 Haden Andrews; #8 Matt Wheeler; #10 Corey Owens; #11 Kasey Scoggins; #12 Jayce Elliot; #13 Cameron Lehman; #14 James Musick; #15 Jacob Catoe;; #16 Peyton Prater; #20 Sam Jones; #37 Camo Navarette; and # 40 Triston Slagel. “We will leave on July 15 and our tournament will start on July 16, in De Leon,” Coach Aaron said. They played their season and this year they really wanted it. I’ll give it to them – I’m proud of each and every one of them. We’ve had our ups and downs, but they made it,” he said. The 15U teams to qualify for the state tournament are: the D De Leon Elite; the Eastland Mavericks; the Grapeland Heat; the Lovelady Lions; the Winters Blizzards and the Ballinger Elite. All games in the Boys 15U will be held at the De Leon Baseball and Softball Complex in De Leon. The Elkhart Sneaky Cleats in Girls 8U. The Crockett Fireballs in Girls 12U. The Crockett Crossfire and the Lovelady Lion Drive both in Girls 15U.